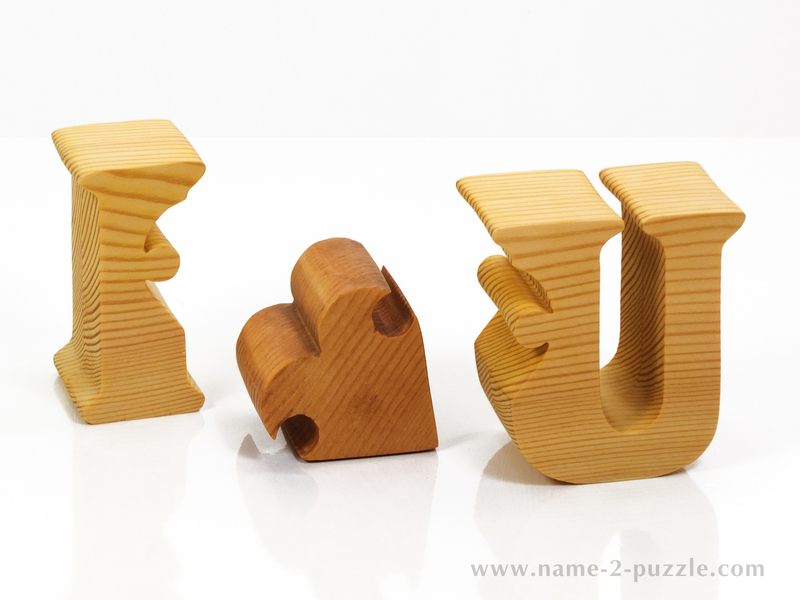 Surprise the people from your family with a wooden family name puzzle. 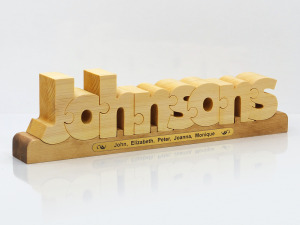 This is an amazing personalized gift which will be treasured forever. The name of your family will be handcrafted from white pine wood. Then it will be sanded and polished with olive oil. You can add a message to the puzzle which will be engraved with a laser on a metal band and will be put on the gift. 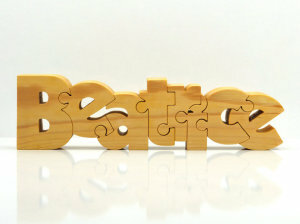 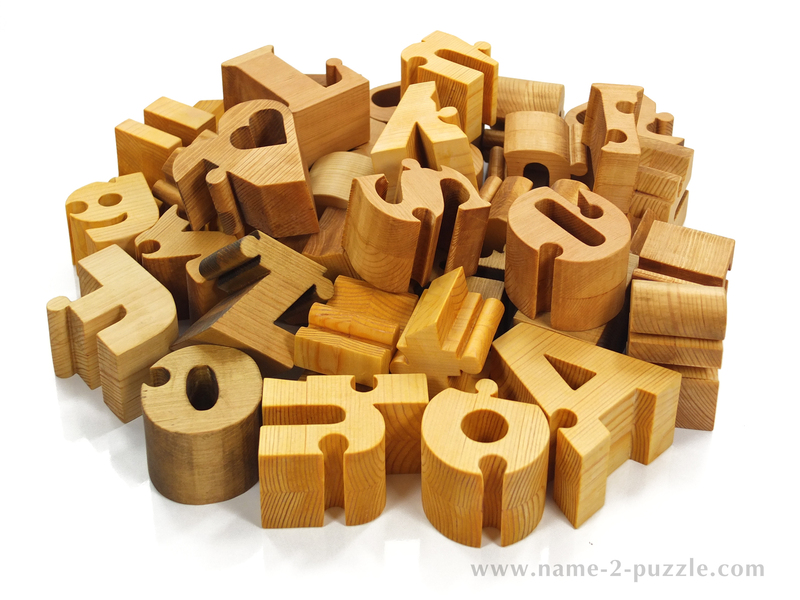 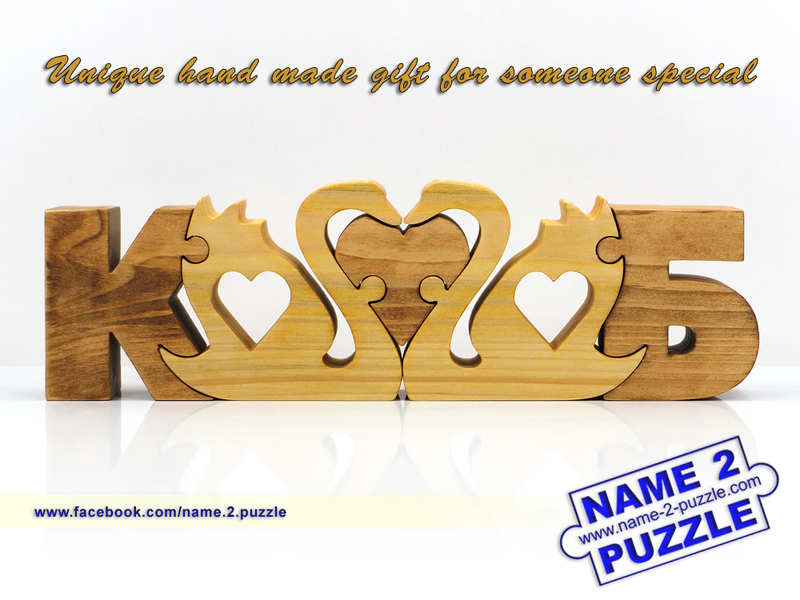 Have a two name wooden puzzle gift handmade especially for you and your loved ones. 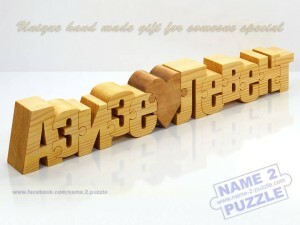 The gift is the most personalized ever and it is perfect for birthdays, anniversaries, weddings and other occasions. 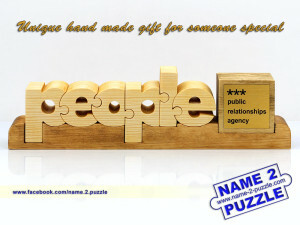 They are perfect for mom, dad, sister, brother, friends and even colleagues. 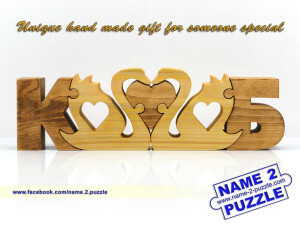 With this puzzle you can have your first name and the name of someone you love handmade from white pine wood. 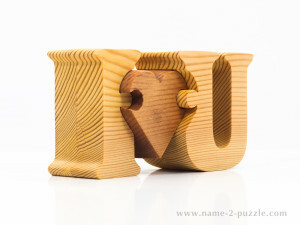 Every bride and groom will love your gift because it is personalized with their initials. The initials are handcrafted from white pine wood. 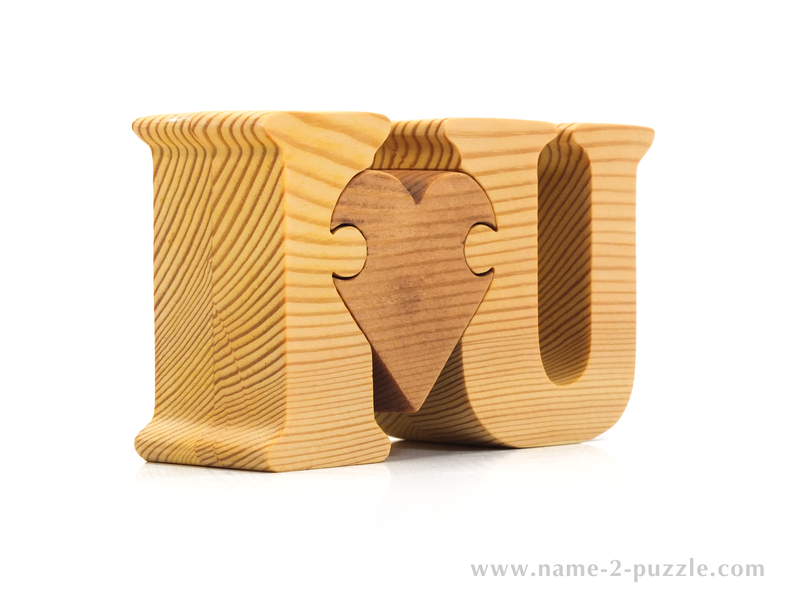 They are then sanded and polished with olive oil so that they can suit the home of the newlyweds. 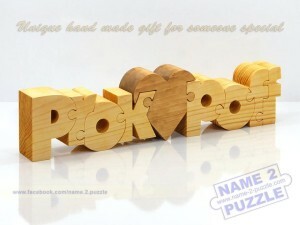 The pen and pencil holder is eco-friendly and it is handmade only by order because it is unique for every customer.